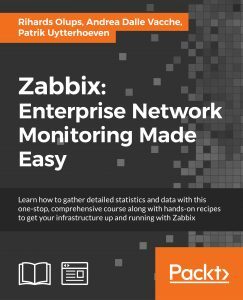 DBforBIX 2.4 is finally available now as a Zabbix Proxy! It’s been a long time since my last software update, anyhow I’m happy to share an improved version of DBforBIX. What’s new here? 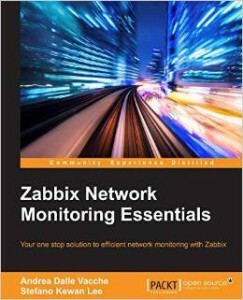 Well now, starting from this version, DBforBIX act as a Zabbix Proxy, this means that now you have the full control of your monitoring agent directly from the Zabbix’s consolle! This is a quite big improvement, and I definitely needs to say thank you to Andrey for his good work! Currently the persistence database is not yet active, mainly because of the huge refactoring and coding work done. As soon as I can I’ll bring back the persistence to this new project. Please note that this version is completely incompatible with the previous one. For a better explanation of how configure it and use it please refer the github wiki pages of the project. You of can follow the project on github. Stay tuned! 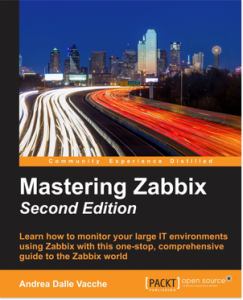 oracle, zabbix Comments Off on DBforBIX 2.4 is finally available now as a Zabbix Proxy! DBforBIX 2.2-Beta release is now available! Improved Connection Pooling with Apache DBCP 2.2. This will enable DBforBIX to store the item directly in the application embedded database (made with H2). That said doing a practical example if your Zabbix server is, for some reason, unavailable the item acquired from the monitored DBs will be stored in the application embedded database. I’ve decided to move all the persistence in a database because of the high number of items that are getting saved in your file system. Simply to me wasn’t elegant nor the ideal solution. This solution drastically reduce the number of files saved in your disk. The project is hosted here: https://github.com/smartmarmot/DBforBIX. General Comments Off on DBforBIX 2.2-Beta release is now available! DBforBIX 2.1-Beta release is now available! Zabbix JSON protocol now back in the trunk, with multi-item supported. This will enable DBforBIX to store the item directly on the file-system, for persistence. So doing a practical example if your Zabbix server is, for some reason, unavailable the item acquired from the DB will be stored on the filesystem. Currently this is an experimental feature, not deeply tested and then not production ready. Anyway as best practice since the number collected can quickly grown on the filesystem is better to enable this feature ONLY for the critical databases. That said the item will be now stored on /opt/dbforbix/temp directory, as soon as the Zabbix is back available all the item stored there will be sent and removed from the filesystem. the number of itmes can quickly grown for a long downtime of the server. When I have a bit more time I’ll move the persistence in an internal database in order to avoid the high number of files generated when Zabbix is not accessible. General Comments Off on DBforBIX 2.1-Beta release is now available! DBforBIX 2.0-beta is finally available! It’s been a long time since my last software publication, anyhow I’m here with a brand new release. Please note that this release is not compatible with the previous one and must be considered as a BETA. I’ve done a lot of refactoring and coding, now the code is more elegant and more maintainable. Also I’ve moved the query files to xml with quite a few improvements. Now is finally possible retrieve all the multi column items and the multi row query in an elegant way. Is going to generate the items oracle.maxcount[processes] and oracle.maxcount[sessions] with a single query. Now is also more readable the period between one sample and the other one in this example every 600 seconds you’ll have your item refreshed (as specified with time=”600″). I’ve also moved all the code to GitHub, in order to simplify the maintenance and collaboration. In the next days I’ll update the documentation, most likely I’ll add, for consistency, a proper wiki to github. 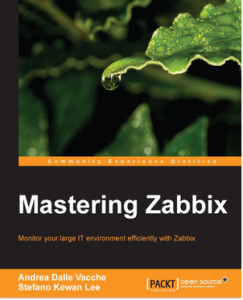 zabbix Comments Off on DBforBIX 2.0-beta is finally available!